Big Button – Makes connection / disconnection effortless even with gloves. 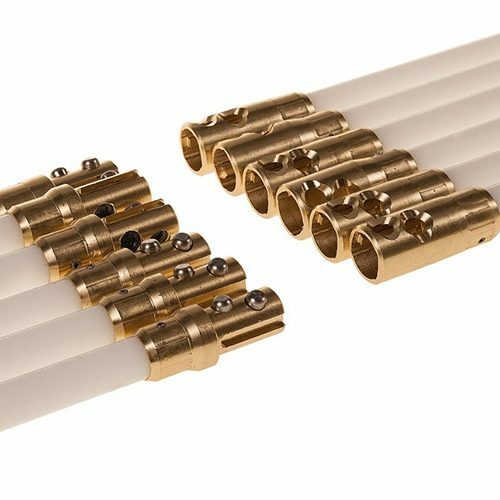 Fittings to Rods – All fittings are glued crimped and pinned wobble free secure tight fittings, fittings are inline with each other no need to rotate the next rod to locate the button. Driver – Stainless steel with a standard chuck shape eliminating skidding in the chuck and being stainless steel durable. 12 month replacement warranty – In the unlikely event you do have a fault we will replace the item hassle free. Attachments- Many attachments from chain brushes, wire strand heads ,nest hooks, bristle brushes and many more can be used. Low Price – We manufacture so we can offer the savings directly onto the end user no middle men. Flu-Flex Power-Sweep chimney sweeping rods for sweeping tight bends in lined and twin walled chimneys with using a hand drill to power the brush head making cleaning easier and faster. These rods are ideal for tight bends where drain rods are not suited Flu-Flex rods will have far less risk of causing damage to your chimney or liner. Due to the flexibility of the rods you are able to clean round tight bends and 45 degree angles with ease. This specially designed Torpedo brush head will clean from 4″ up to 10″, the strands are durable and will last along time, see our other listing for replacement strands. You can attach a bristle brush head to these rods for hand sweeping as well. Power-Sweep chimney sweeping rods are 90cm long with round fittings so when in motion will not damage the flue. They lock together just by pushing the rods together and held in place with strong durable button, to release simply press the button down and pull apart. Fast and efficient power sweeping cuts the time of screwing traditional rods together and you can spin the brush head in both directions without unscrewing the rods or brush head. We give a Full 12 month Guarantee: We cover All our Button Lock products Rods, Fixings, Heads, Drivers & attachments , with a replacement if needed. We don`t just cover the fixings we cover the Rods, Fixings, Heads, Drivers & attachments. 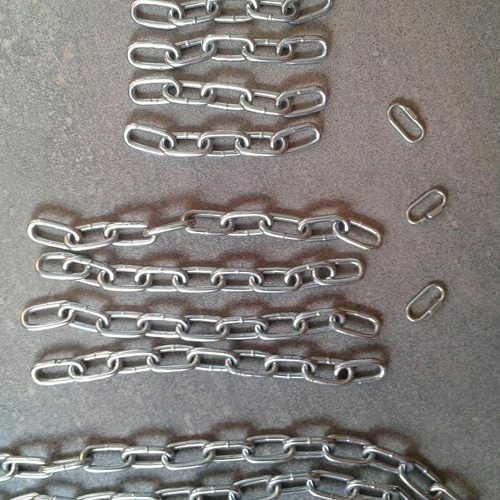 We do not cover Strands Chains and wire head inserts. Check when buying if that other suppliers will? We wont charge you for the delivery either. 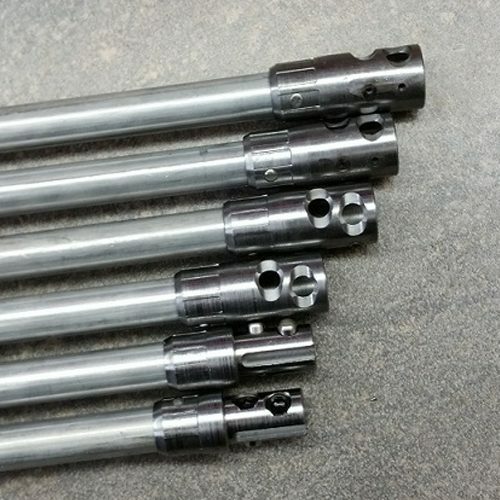 All our rods are solid Nylon not hollow, check when buying from other suppliers.